Very much unlike the SX4 sold in India, which was derived from a Five-door model, the Ciaz has been built as a sedan from the grounds up. No wonder then it looks much better proportioned and smart. The contemporary three box shape makes it look big and gives it presence. The headlights, which come with the projector units, look sophisticated and the chrome-finished grille adds a touch of premium-ness to the overall design. It is pretty evident that Maruti Suzuki has played rather safe with the design of the new model, which isn’t necessarily a bad thing for many. The boldest feature on the new car’s design would be the black inserts for the reflectors on the rear bumper. First to showcase the company’s Fluidic Design language in India, the Hyundai Verna has a much more sporty appeal to its design. 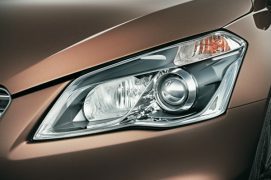 The sharp headlamps with projector units and integrated daytime running LED lights look upmarket but they are only available on the top end SX(O) trim. The hexagonal housing for the front grille and the sculpted fog lamp cluster looks sharp adding to the overall tipped forward look of the car. The strong character line flows nicely up to the bootlid integrating the door handles, the wraparound tail lamps and the sculpted rear bumper add to the overall appeal of the car. Unlike the exteriors, the interiors of the two cars are more comparable to each other. 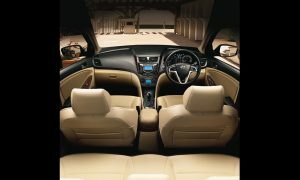 Both come with a black beige combo but the Ciaz gets a better centre console with a bigger display. 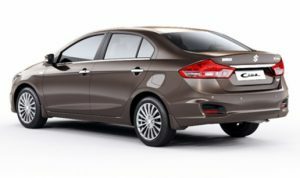 The Verna though has a better looking steering with silver accents in contrast to the simple, all-black steering of the Ciaz. 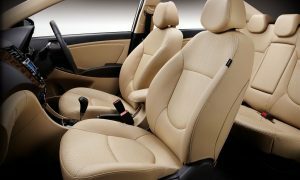 Maruti’s latest is a clear winner when it comes to interior space and comfort. 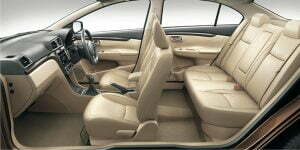 Greater leg room and increased window area as opposed to the the cramped and claustrophobic rear bench of the Verna hands the Ciaz a clear advantage. 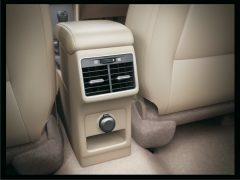 A low seating position, lack of under thigh support and the lack of rear A/C vents doesn’t help the Verna’s case. When the Verna was launched it introduced a plethora of new features such as the engine start/stop button, keyless entry, 6 airbags to name a few. But one of the biggest omission is the rear A/C vent which have become standard in not only this but even in lower segments, even the i20 has them. The Maruti Ciaz has all the features of the Verna and also gets rear A/C vents but it gets only two airbags even on the top end variant. 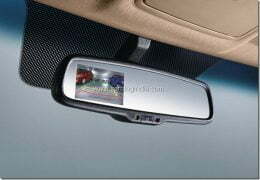 It also gets a multimedia touch screen for the centre console while the Verna gets a conventional backlit display. Spec for spec both cars are evenly matched with the top end trims offering all the options expected in a car costing Rs. 10 lakh+. The high-speed stability of the Verna is not very good, the soft suspension hinders sharp direction changes and you get a very vague ‘floating’ affect. It’s not terrifying, but does not inspire confidence. 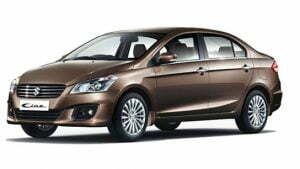 The Ciaz has better high speed characteristics and feels more planted on highways. 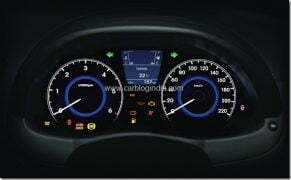 Cabin insulation is also very good on the Ciaz and the suspension operates noiselessly. 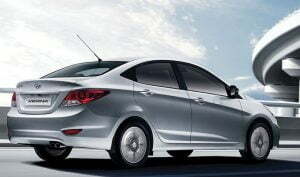 The Verna’s softer suspension set-up aids comfort especially in the city but doesn’t help its highway characteristics. The number of engine and transmission options offered by the Hyundai are simply unmatched. Compared to that the Maruti Ciaz looks underpowered on paper but the difference is not as evident as one would expect thanks to clever power delivery and gearing. 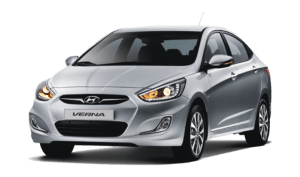 Having said that, the bigger engines offered on the Hyundai Verna also cost more than the smaller 1.4 litre units. Even the similarly powered base variants of the Hyundai Verna are more expensive than the Maruti Ciaz and the fully loaded variants are only offered with the bigger, more expensive 1.6 litre motors. But keep in mind these engines offer significantly more power than the Ciaz’s engines. The Hyundai Verna has a lot going for it, the looks, the engines, not to mention Hyundai’s strong after sales record, but overall the Maruti Ciaz trumps the Verna, all thanks to its brilliant price, more pleasant interiors and better driving characteristics. Sure it looks underpowered on paper, but it doesn’t feel that way in real world conditions. So, what do you have to say about our Maruti Ciaz vs Hyundai Verna Fluidic comparison? Do let us know by penning down your thoughts in the comments section below.